In the beginning, there were Phoenicians. More recently, there was Lebnaan, reminding the Lebanese of their beginnings. 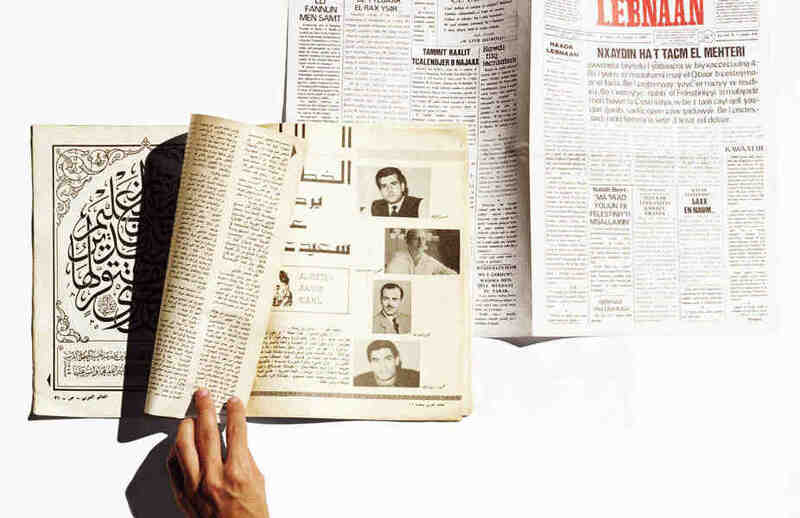 The paper’s founder and editor, Said Akl, deplored classical Arabic and printed his own language in its place: “Lebanese,” he called it, a Latinate version of colloquial Arabic, rooted in ancient Phoenician script. Akl signed his contributions to Lebnaan “Melqart, king of the city,” after the legendary demigod and protector of the Phoenician city of Tyre. His cosmology had a similarly epic scope. For Akl, Lebanon was the center of the universe, the seat of Canaan; its people, the ancestors of the Jews, had invented the written word, the color purple, and Europe. Though Akl’s own personal journey was and remains idiosyncratic — it was the poet who suggested to General Michael Aoun to begin his speeches with “O Great People of Lebanon” rather than, say, “Ladies and Gentlemen” — his desire to create a new form equal to the task of representing contemporary speech was something he shared with many of his political enemies. A secularizing Pan-Arbaism was one of the forces driving the movement to formalize Modern Standard Arabic as a literary language not exclusively rooted in the Qur'an. A similar animus towards ecclesiastical authority led to the Latinization of the Turkish alphabet in 1928 as part of Mustapha Kemal’s modernization project. And a very different form of neo-Arabic has achieved far greater success across the Arab-speaking world — an unintended consequence of the rise of text messaging, whose practitioners deploy a combination of Roman characters and Arabic numerals to express the full range of Arabic consonants.